Tonight Teena and I saw Cole Porter's Anything Goes at the Lower Ossington Theater. 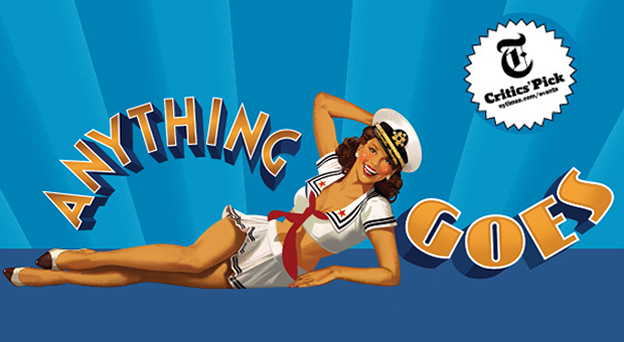 Like everything else we have seen at the Lower Ossington Theater, Anything Goes did not disappoint. Although it is a little dated, having been first performed in 1934, the play is still quite funny and enjoyable. The performance is very lively and lots of fun, with lots of very familiar tunes like I Get a Kick out of You, You're the Top, and of course, Anything Goes, which was redone in 1967 by Harper's Bizarre. The onstage version is definitely more lively than Harper's Bizarre, but here it is as this is the way I heard it for the first time. If you like musical comedies, it's definitely worth checking out.